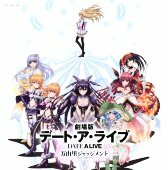 This CD+DVD package contains the theme song to the anime movie Date A Live. 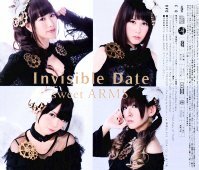 Songs by the seiyuu group Sweet ARMS, made up of Nomizu Iori (野水伊織), Togashi Misuzu, Sadohara Kaori, Misato. "Key of Truth" is the opening song for the PS Vita game Date A Live Twin Edition Rio Reincarnation. The DVD contains almost 2 hours of video. The first part is the video of the Sweet ARMS Premium Live, which took place on 2014.10.13 at Shinjuku Blaze. It contains 17 songs from the live. The second part is an interview of the Sweet ARMS members.